The Coughlin Group Inc. has been announced as the newest preferred partner in the ERC Partner Network. What’s Working in Your Company? What’s Not? key is to get those decisions right and everything else will fall into place. An exercise that can be helpful in identifying those six important decisions is an evaluation of “what’s working and what’s not.” The process is simple: make a list of the major functions/areas in your business and rate them on a scale of 1 to 10 in terms of how well you think they’re working. Then ask members of your management team to do the same and compare the results. Many organizations wait to start their planning for the next year until the fourth quarter, but now is really the ideal time to begin the process for a number of reasons. First, updating your plan now enables you to incorporate planning decisions into budgeting decisions. 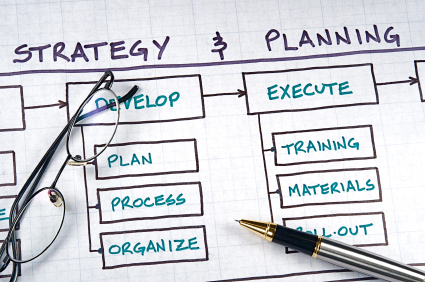 Second, updating your plan for next year requires you to revisit your plan for this year which can provide a good shot in the arm to keep pushing those 3rd and 4th quarter initiatives. And finally, doing it now insures it won’t get lost in the year-end, holiday rush that often derails year-end planning. One of the biggest challenges around planning in organizations is the ability to keep a consistent and focused view of the road ahead. It’s not surprising given the fast pace and day to day pressures every business faces, but it’s important to maintain that bigger picture, long term view if significant growth and development is to take place.